The Rosengård housing estate in Malmö was built as part of the Swedish ‘Million Homes’ programme during the 1960s and 1970s. With 10,000 apartments and 25,000 residents, it is one of the largest housing areas in Scandinavia. But Rosengård, like many large-scale schemes, turned into a socially and economically isolated area, and it counted as one of the most deprived areas in Sweden. Furthermore, less than 1% of the vast expanses between the high-rise buildings consisted of private gardens and terraces. There was also no light in the night, no place to sit and no protection from wind. Hence the Malmö’s social housing authority (MBK) invented Jan Gehl, from Gehl Architects in Copenhagen, to turn this area in a well-integrated and inviting neighbourhood. Gehl’s job was to develop a strategy to make Rosengård an active part of Malmö. MBK wanted to invite the people who lived there to come out of their homes and also socialise with other people that were invited to this neighbourhood. Gehl selected a variety of streets and public spaces that should be transformed to foster positive feelings of ownership and belonging and to make the neighbourhood readable on a human scale. Furthermore, they tried to create space for people to gather and get to know each other. A key part of the design process was always the input of the local community. 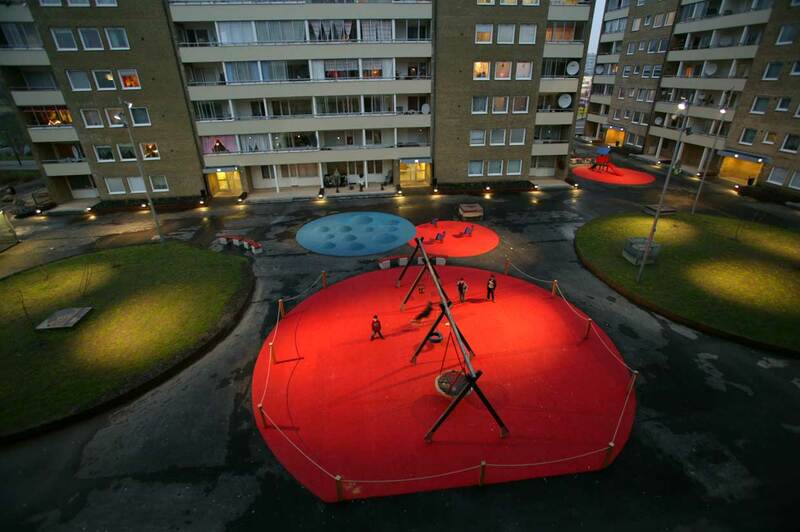 In 2008 Gehl redesigned two neglected courtyards in Rosengård based on the ideas and dreams the people had about their own backyard. They designed gardens in the back of the buildings with early evening sun, built bike sheds and south-facing benches. Moreover, they sheltered the courtyards from the elements and created semi-private spaces. In 2009 the new designs, with new lighting, play surfaces and a new human scale, was implemented and was a huge success. Because of Gehl’s work the courtyard activity increased about 50-60% and there was a saving of 16% on maintenance due to reduced vandalism. In addition it also changed the image of the area. Even if there is no permanent solution for socially deprived housing estates, the flexible framework Gehl developed in Rosengård can provide a viable and socially sustainable way forward.